At Swan Hill Primary, we ensure students are developing English skills to allow them to be life-long learners. We foster a love of reading and writing in our students and use interest-based approaches in the classroom to engage students in their learning. Students in Foundation are involved in a phonics program called Little Learners Love Literacy (LLLL) created by Maureen Pollard. Year 1 and 2 teachers implement the Daily 5 framework for their literacy sessions. This framework allows whole-group teaching, small group conferences and independent work in the classroom. Year 1 and 2 teachers also implement The CAFÉ system approach within the Daily 5 framework to teach Reading skills. This approach assists teachers to set individual goals, discuss strategies and monitor students’ progress. Our middle and senior year levels, use the Reader’s Workshop and Writer’s Notebook framework, as developed by well-acclaimed educators Deb Sukarna and David Hornsby. These frameworks allow whole-group teaching, small group conferences and independent work in the classroom. Year 5 and 6 students also use the Literature Circles framework in Reading. 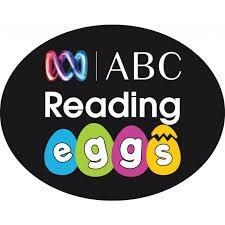 The ABC Reading Eggs program focuses on a core reading curriculum of skills and strategies essential for sustained reading success. This online learning program is used for students to work on individual goals, both at home and at school. Students use Netbooks and iPads to complete Reading Eggs or Reading Eggspress in class each week.